Ang tagaytay ay isang katangiang heolohikal na tinatanghal ang isang tuloy-tuloy na kataasang taluktok sa may kalayuan. Kadalasang kinakataga din ang mga tagaytay bilang mga burol o bundok, depende sa laki nito. 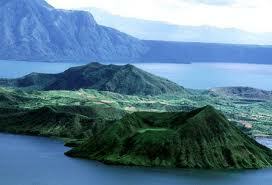 Lake Taal - a huge volcanic crater that has filled up with water and has become a lake. Within the lake, other eruptions have occurred producing more craters and micro-lakes. shares in the exclusive apartment buildings which had been built in the meantime were offered. if the weather is clear. The volcano is one of the smallest and most dangerous in the world. The Philippines is one of the countries which lie in the Pacific's "Ring of Fire", thus making the country abound with several active volcanoes. One of these volcanoes is Taal Volcano, the volcano within a lake within a volcano within another lake. Taal Volcano, a National Geological Monument, has twenty-six (26) recorded eruptions since 1572. Named as the "Killer Volcano", its most devastating eruption occured in 1754, when it buried the towns of Lipa, Sala, Tanauan and Taal with lava. On Taal's 1911 eruption, one thousand three hundred and forty four (1,344) lives were claimed, leaving only a puppy as the survivor. Last February 18 and 19, 1995, the PLDT Mountaineering Club (PLDT M.C.) participated in the Taal Volcano Friendship Climb. Sponsored by PILIPINAS SIERRA, this climb served as an initial venue for the PLDT Mountaineers to interact with other mountaineers from different mountaineering organizations. The trip to the volcano island started with a "banca" ride from the port of Talisay in Batangas. Together with MESAU, PLM-OC, DLSU-OC, SENATE M.C., AMACC, Araneta M.C., Ayala M.C.,and Toyota M.C., the PLDT M.C. jumped-off from the "Pira-pirasong" PhilVolcs Station in the island. After an hour of continous ascent, the main crater was reached. This crater, known as the "Crater Lake", is where most of the eruptions occured. Lunch was taken inside a "kakawate" at the rim , with a view of the beautiful crater, with its placid blue-greenish pool at the center. From the crater's rim, the group descended through a trail surrounded by cogon grass. Aside from cogon, the trail consists of hardened lava, petrified volcanic rocks and powder-soft volcanic sand. Throughout the duration of the climb, the humidity was extremely dry, with temperatures ranging from 35 to 40 degrees Celsius. The campsite at Barrio Alas-as is situated along the shoreline near "Pinintiang Maliit", with a view of Taal Lake and the Tagaytay Ridge. A dip at the lake soothed the bodies and minds of the tired mountaineers with its luke warm and gentle current. 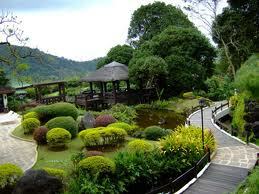 The City of Tagaytay is a second class city in the province of Cavite, Philippines. 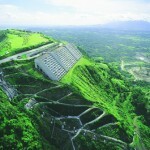 Only 55 km (34 mi) away from Manila via Aguinaldo Highway, it is one of the country’s most popular tourist destinations. Tagaytay City provides a good view of the Taal Volcano. 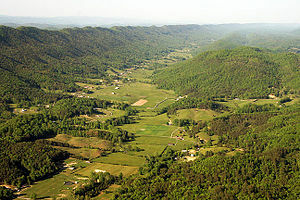 The city is a popular summer tourist destination because of its cool climate due to its high altitude. The city of Tagaytay is a tourist attraction for local and foreign visitors. It is a vantage point of Taal Lake and Volcano. 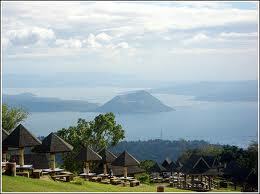 Tagaytay also offers a view of Taal Lake – a lake within an island within a lake. Tagaytay’s playground is the popular Picnic Grove. It features huts line along the gentle slopes of the Tagaytay Ridge. It is a prime location, providing the finest view of the volcano far below. It is located in Barangay Sungay East. 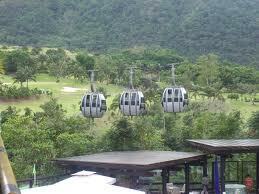 An artful blending of natural and man-made attractions, poised on the highest point of Tagaytay City. It stands on a 4,516 sq, meters solid ground and overlooks four bodies of water – Taal Lake, Balayan Bay, Laguna de Bay and Manila Bay. It is located at Dapdap West and Dapdap East, approximately 6 to 7 km away from Silang Crossing. Tragically (and wastefully), however, in the past 12 years, this prize destination has deteriorated into a dirty, smelly, and ugly kind of place. The construction of a building of a weather station violates Proclamation no. 740 (s-1996) which states to preserve the ecological balance within one-kilometer-radius area around the People’s Park in the Sky. 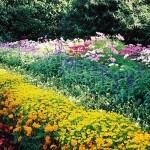 Tagaytay Highlands is a recreational and residential complex. Divine Word Seminary, one of biggest schools of theology in the Philippines in terms of population and land area, is also one of the oldest religious institutions in the city. It is run by Divine Word Missionaries also known as SVD. Tagaytay played a significant role in Philippine history. During World War II, Filipino soldiers and military officers found refuge on its vast forests and ridges. It was used as landing site and sanctuary for the Filipino USAFFE soldiers and paratroopers on their way to liberate Manila on February 3 to March 3, 1945. The 41st USAFFE marker is a one place where you will know more about Tagaytay’s rich political history. It is located beside the Metro Tagaytay College of Business and Arts, Kaybagal South, Tagaytay City. On February 3, 1945, the 11th Airbourne Division of Lt. Gen. Robert L. Eichelberger’s 8th Army airdropped military supplies and personnel together with the Philippine Commonwealth troops on the Tagaytay Ridge amidst enemy groundfire. Their mission: to secure Tagaytay City and guarantee the easy flow of troops and supplies to Manila, an action later proved as significant to the Manila Liberation. A marker was made at the Silang Crossing to honor the event. This 1,200 sq. meters garden was constructed to inculcate the value of freedom, peace and international unity into the hearts and minds of the people. It is located in front of Development Academy of the Philippines Conference Center, Sungay East, Tagaytay City.